In many parts of the world, water is a crucial resource for the cultivation and production of agricultural crops. During a visit to Australia, this became obvious. When water has a clear price and value, the production calculation and the strategic decisions get a different colour. During a study trip, I visited farms in southeastern Australia in the states of Victoria and New South Wales. The area has been hit hard by many years of drought, which has affected all agricultural production. Characteristic for the area is that there is a tradition of using irrigation in farming. The water comes from rivers, groundwater and, to some extent, the collection of rainwater in connection with considerable rain. Until 2002, the right to water was linked to the ownership of land. In a major reform, the right to water could be traded. This meant, among other things, that the state became an active buyer of water to ensure a sufficient quantity in rivers and other waters. The control and regulation of groundwater also became clearer. The consequence for the cultivation was that water was traded as other means of production with drastic changes as a result. We went through an area that was completely dominated by milk production 15 years ago, based on irrigated pasture. In connection with a global milk crisis a few years ago, many milk producers sold their water rights to save the farm’s finances. They hoped to manage cultivation of crops based on the normal precipitation in the area normally. The precipitation wasn’t normal, and the intended crops did not grow. 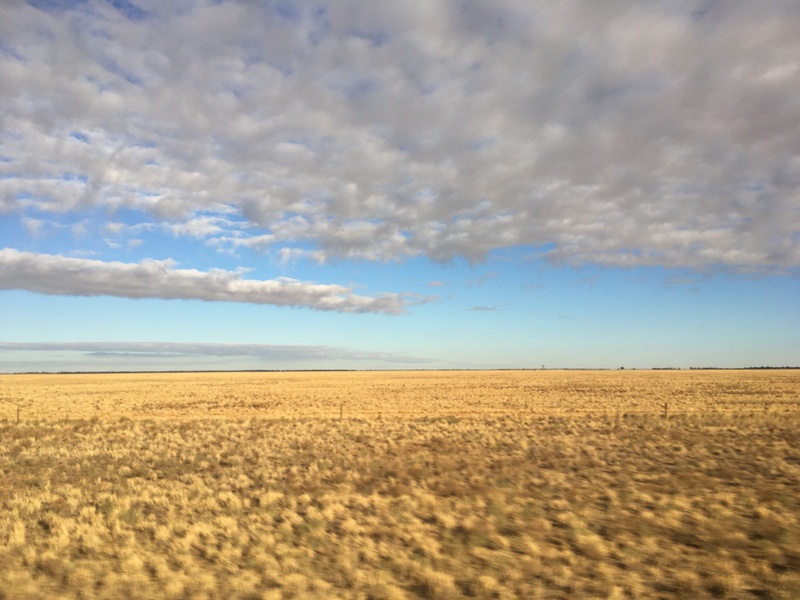 The landscape has, of course, completely changed its character and the farmers’ economy is completely run down. In another area, the plan was to plant almonds on 10 000 hectares. 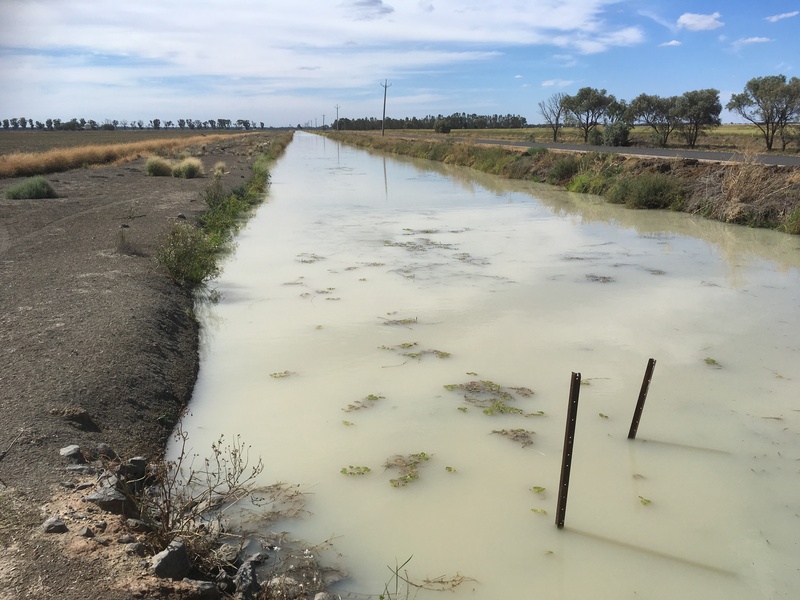 The land was owned by a larger company which, with the help of a lot of capital, acquired the land, invested in planting almonds and, of course, water rights to this water-consuming cultivation. The resource water is a crucial factor in many parts of the world to make it possible to produce food for a growing population. Australia is an example of an attempt at a market solution. It remains to be seen if it is a working solution. The Nordics need to find ways to meet climate change. Primary production in agriculture and forestry are already facing new situations and we will most effectively meet them together. NKJ has arranged a workshop to make it happen. The nordic working group for agriculture is now creating a powerful front to make agriculture stand ready for a new climate. February 28th the group had their third meeting, and this time accompanied by Nordic and European experts in agriculture and food. The purpose of the meeting was to learn from each other, broaden the perspectives and develop methods and processes to cope with extreme weather events. And such extreme weather will occur more often as the climate is changing. We experienced it already last summer when drought and heat put severe pressure on agriculture and forestry in the Nordic countries. Now it’s urgent not just to stop climate change, but also to make sure we can handle the new situations that the primary production unquestionably will face. The meeting pointed out the importance of networking to be well prepared for the future climate. To learn from each other and share experiences makes everybody stronger, and we need to make cooperation smooth and effective. The meeting also found it crucial to have the right perspective when trying to adapt agriculture to the changing climate. It is a matter for the whole society, not only for agriculture itself. There is a need for Nordic cooperation in the water issue (drainage, irrigation). What knowledge are we lacking? And how to make different disciplines cooperate in the best way? The working group wants mapping and analysis of the issue. Plant breeding was also discussed as an important matter when the climate is changing. 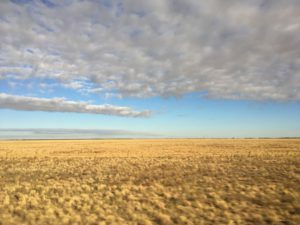 Maybe NKJ, Nordforsk and NordGen can make a joint effort to gather stakeholders to breed plants that can thrive in a climate with more extreme weather. There were a few thoughts about how to go on with a common effort. The meeting asked for deepened discussions about parts of the issue, as well as discussions with more professions, stakeholders and authorities. They also talked about the need for strategies for different hypothetical scenarios. Common Nordic training and simulations could be useful. a conference for advisors with extreme weather in focus: what did we do? what could have been done? During April the report on Nordic cooperation in extreme weather events will be completed. That will form the ground for future work with preparing the Nordics as a unified front to meet the future climate. Extremväder och dess effekter på jordbruket – vad görs på EU-nivå för att hantera riskerna? Now there is an overview of the status of Neonectria cankers in the Nordics. One of our SNS-NKJ networks produced it! Meeting in Denmark at the arboretum with fruitful discussions. The members of the NKJ-SNS network project “Neonectria cankers on trees” has gathered for a second meeting. 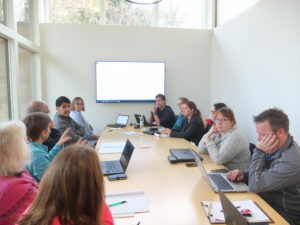 The meeting took place in two participating countries, Sweden (hosted by SLU in Alnarp) and Denmark (hosted by KU at the arboretum in Hornsholm, Denmark). A brief update on the status of the ongoing research projects in the participating countries as well as on the significantly improved epidemiological situation in apple orchards in Åland was accompanied by a fruitful discussion and knowledge exchange in the network “Neonectria cankers on trees – meeting of changed climatic conditions and increased problems in Scandinavian horticulture and forest production by interdisciplinary networking”. Network participant visiting apple orchard in Sweden, Larisa Gustavsson explain details about the orchard and fruit tree canker on different cultivars. Since the network is dedicated to the three Neonectriaspp; N. ditissimaon broad leaf trees (especially fruit trees) and N. neomacrosporaand N. fuckelianaon fir (Abies spp.) and spruce (Picea spp. ), respectively, the meeting included on-siteexperience of infections on both, horticultural and forest crops. 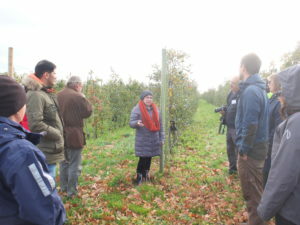 The participants visited a commercial apple orchard where they could observe damages caused by N. ditissima in a range of apple cultivars differing in their levels of resistance. The observations and discussions were dedicated to the diversity of the symptoms as well as to the diversity of the defence reactions among cultivars. The attention was also drawn to the differences in the severity of damages related to differences in growing conditions within the same orchard as well as to the differences in the age of the trees. The participants stressed on the importance of good orchard hygiene for the improvement of the epidemiological situation in the apple orchards. In the Arboretum in Hørsholm the focus was on symptoms of N. neomacrospora on different fir species. Abies lasiocarpa and A. concolor show severe infection, whereas traditional forest tree species such as A. alba and A. grandis are less affected. Symptoms of N. fuckeliana on spruce and N. ditissima on broadleaves have not been observed in the Arboretum, and only a few cases have been reported from Danish forests, however no systematic surveys have been carried out. An important discussion was to which degree aphids on needles, shoots and bark facilitate the entry of these pathogens in the hosts. During the excursion in the Arboretum we looked at a spore sampler experiment and discussed whether this method could be used for other Neonectria species than N. ditissima, since several participants had experienced difficulties with obtaining spores. An important task of the network is to bring all the collected information on biology, epidemiology and control of the three pathogens, including better utilization of the intrinsic host resistance by combining of breeding resistant genotypes with improved practices to the scientific community though a review paper. The participants agreed on the content and structure of the paper. The important knowledge exchange between the horticulture and forestry as well as a positive and open atmosphere within the group indicate good prospects for further collaborations and join projects. 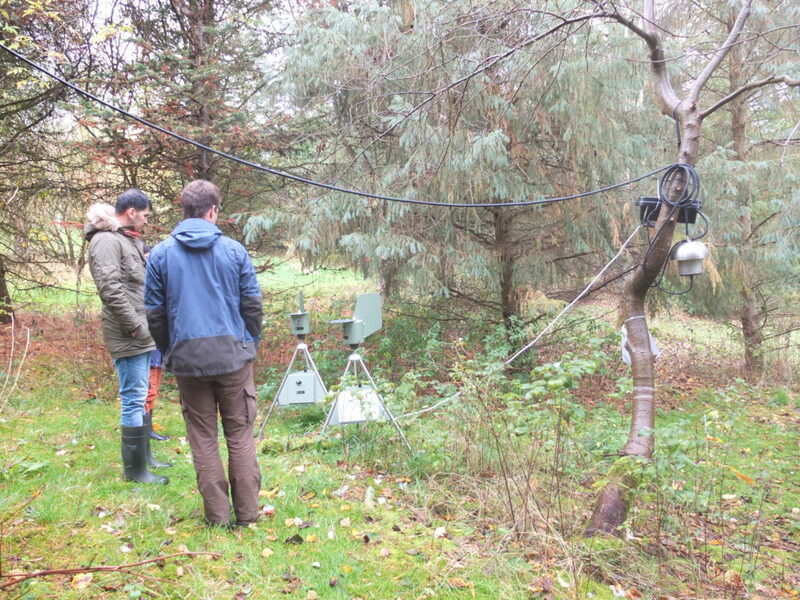 Visit of the forest trees in the arboretum and two of the participants have a closer look on traps for Neonectria spores. A workshop is coming up to engage stakeholders to identify ways to improve data and data use for documenting sustainable forest management in wood pellet supply chains. The workshop under the long title “Adequacy of spatial databases for conducting risk assessments of sustainable wood sourcing practices of the U.S. industrial wood pellet industry supplying European energy demand” will take place 1-3 May 2019 in University of Georgia, Athens, GA USA. It is a follow-up workshop from the conference “Biomass feedstocks for energy markets”, co-arranged by the SNS-NKJ network “Governing sustainability of bioenergy, biomaterial and bioproduct supply chains from forest and agricultural landscapes” and CAR-ES III “Centre of Advanced Research on Environmental Services from Nordic Forest Ecosystems”. Review current wood sourcing practices and state-of-art practices for conducting company level and regional risk assessments of the U.S. industrial wood pellet industry supplying European bioenergy demand, based on the findings of a new study and company experiences. Identify new ways in which existing regional databases and data collected by use of new technologies can help conducting supply area, regional and national level risk assessment. Identify possible needs for improved or new data. Discuss alternative approaches to certifying wood pellet feedstock sourced from sustainably managed forests in the southeast U.S., such as group certification. Discuss proposals for improving the overall efficacy of Forest Management Unit level, group and risk-based certification for all stakeholders associated with wood pellet supply chains to Europe and other developing regional markets. 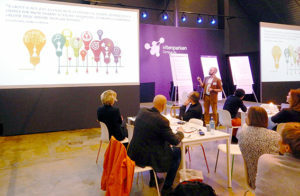 Transforming the current economy into a “new” bioeconomy needs changed institutional frameworks at regional and national level, sensitive to and inclusive of place­based knowledge. The SNS-NKJ network BioWiseTrans arranges a conference seeks to better understand the role of people and networks in this transition. Welcome to Karlstad 27-28 of March 2019! 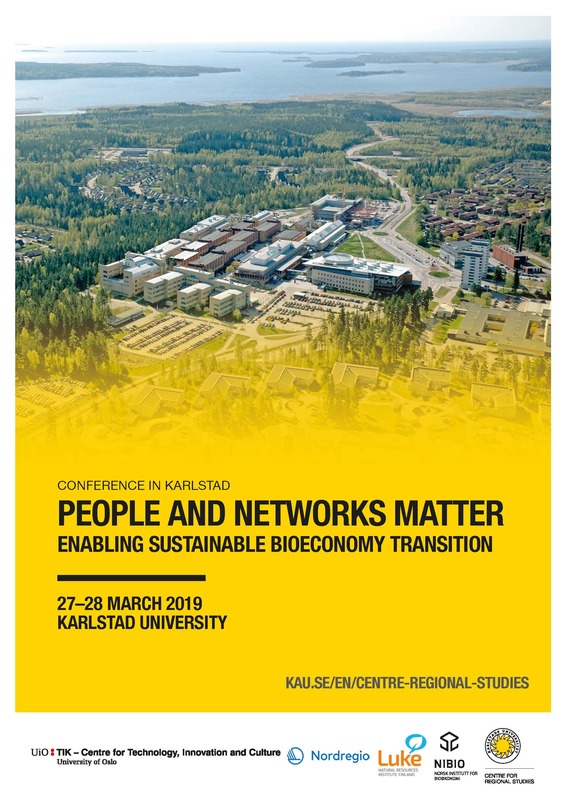 The name of the conference is “People and networks matter – enabling sustainable bioeconomy transition” and takes place in Karlstad in Sweden 27-28 March 2019. 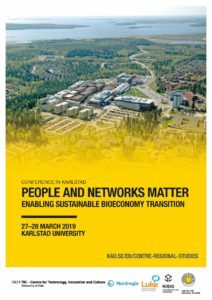 At this conference, industry, academia and public organisations will discuss challenges and opportunities and the role of people and networks in the new bioeconomy era. Overall, we need a better and nuanced understanding of the societal impacts of this transition in different contexts and for different stakeholders. Nordic cooperation in situations of extreme weather is about to improve. 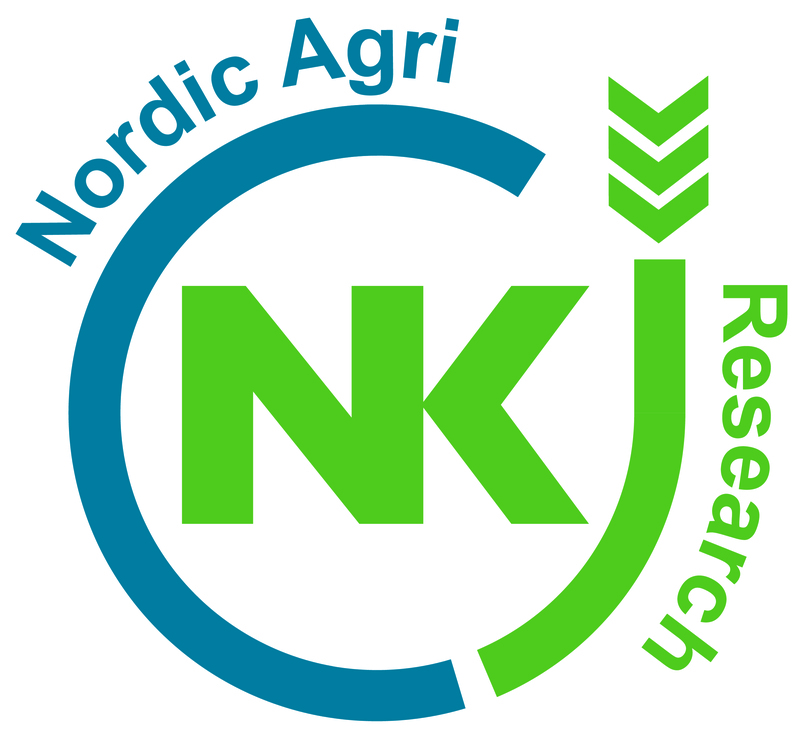 Nordic Agri Research (NKJ) and Nordic Forest Research (SNS) launch a project under the Nordic Council of Ministers. 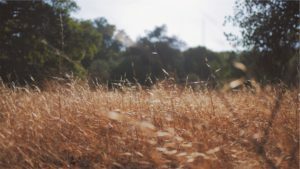 The extremely dry and hot weather this summer clearly demonstrated the need for Nordic cooperation and the benefits of learning from each other when it comes to extreme situations for agriculture and forestry. “Not only in Sweden, the weather has set the agriculture and forestry areas on difficult tests. In these times, the need for cooperation across national borders becomes clearer than ever, and I see that we in the Nordic Council of Ministers have a natural forum to meet to discuss these issues” wrote the Swedish Minister of Rural Affairs in an invitation to an extra ministerial council meeting between the Nordic ministers in agriculture and forestry areas in September this year. In the meeting the ministers asked for a summary of the effects of this summer’s exceptional drought and of immediate and future actions. A full picture of the drought impact on harvesting, animal husbandry or forestry is yet to be completed. The project’s goal is to find ways to improve future management of these situations. Working groups are now established, one for agriculture and one for forestry, with representatives from the Nordic countries including Åland, the Faroe Islands, Greenland and a representative of NordGen. Nordic Forest Research (SNS) and Nordic Agri Research (NKJ) secretariats will manage the projects. – We start by gathering the latest statistics relating to the effects of the drought. Strategies and measures to cope with the effects of the drought will also be compiled. The working groups will then discuss potential collaborative initiatives, says Maria Tunberg, process manager for the working groups. – There are both similarities and differences in how the countries have been affected and how they have managed the situation, says Maria Tunberg. – We can learn a lot from each other and there are starting points for cooperation across national borders. The working groups will produce a report where the countries’ experiences of the drought will be documented. It will also include concrete proposals on how to build a well functioning cooperation and ways to make the agricultural and forest sectors increasingly sustainable in future extreme weather conditions and to reduce the negative effects. The report will be completed in June 2019 before ministers meet again. 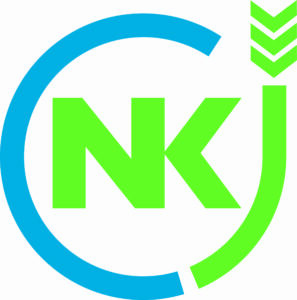 NKJ has got a new logotype! This is how NKJ will look from now on. The board meeting October 23th in Norway agreed on this new logo. Networking can be an act of art – at least in Ås at the Matchmaking Day arranged by SNS, NKJ, EFINORD and NordGen Forest. Researchers from several Nordic and Baltic countries met in Ås at the Matchmaking Day. The day started with tea and mingle, first contacts and interests were shared between the participants. Introduced to Lukasz Andrzej Derdowski, who’s also conducting research in the field of work-related creativity, the participants were invited to draw themselves and note their key interests. Pinned to the wall and done relations to the people they already knew participating at the Matchmaking day, this activity resulted in a low-tech social network, which got expanded throughout the whole day. In presentations of SNS, NKJ, NordGen Forest and EFINORD the participants received a short insight into the organisations, the opportunities to receive funding from them and how to be successful in writing applications. 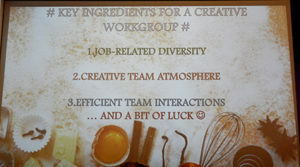 Outlined from the EFINORD to be creative in this process and also use social medias, an inspiring speech from Lukasz Andrzej Derdowski continued on the red thread of creativity and the ingredients of a climate in working groups stimulating creativity. 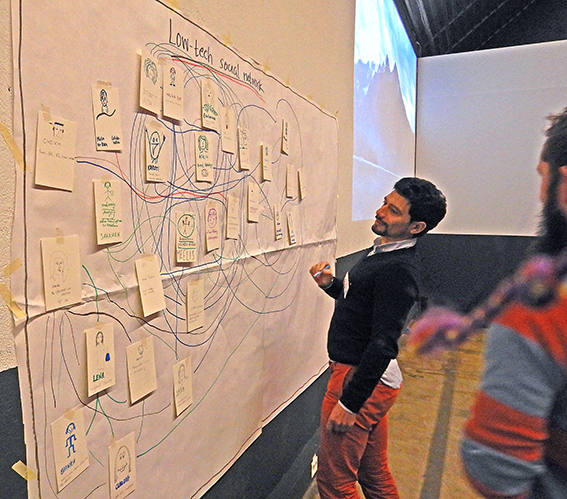 The intense networking day ended with a last coffee and mingle while completing the low-tech network to a real piece of art with many new, interesting and helpful contacts for the participants. The NKJ-SNS network Dialogue Biocontrol wants to bring together researchers, commercial actors and end users with interest in biocontrol solutions for North European conditions and to strengthen the dialogue between these groups. Therefore they invite you to a one-day symposium with the titel “Biocontrol in Agriculture and Forestry – research, innovations and markets”. The venue is Alnarp, Sweden, and the date November 13th. Ramesh Vetukuri, Johanna Witzell, Jarkko Hantula, Lars Moelbak and Birgit Jensen will talk and there will be a lot of discussions to find a way forwards. Register by e-mail to network coordinator: ramesh.vetukuri@slu.se. Deadline for registration: November 5th. The extremely hot and dry summer prompted the Swedish minister for Rural Affairs Sven Erik Bucht to gather the Nordic ministers in the agriculture and forestry sector to discuss how to cope with future weather related crises. NKJ can have an important role in the future work. From the left: Dagfinn Høybråten, Anna Tofften, Mads Frederik Fischer Møller, Åsa Danell, Sven-Erik Bucht. The reason for the meeting September 19th was the extreme weather, with heat and drought, during the summer that hit many of the Nordic countries hard. The countries reported about their situation and how agriculture and forestry have been affected. Several different policy initiatives have been taken to remedy the crisis. For example, the countries in the European agricultural policy have opened for harvesting of fallows and other areas that would otherwise have been left until later in the year. Norway has opened for imports of feed from Iceland. The extensive forest fires were also discussed. There is a need for continued discussion of increased cooperation. This applies not least to the technical side, for example, by avoiding limitations on the movement of technical equipment between countries and cooperation on helicopters with heavy lifting capacity. The General Secretary of the Nordic Council of Ministers recommended the countries to continue the discussion of potential cooperation opportunities to deal with future crises. Already today there are cooperative bodies in Nordic Council of Ministers that can play an important role in that work, including NordGen, the Nordic Committee for Agricultural and Food Research (NKJ) and Nordic Forest research (SNS). The Nordic countries are already collaborating on several fronts about the primary sector and the climate. This applies, for example, to road maps for Nordic forest issues, Nordic Forest Solutions and the project Kol i Mark, which deals with the possibilities for increasing carbon dioxide storage in agricultural and forest land. The summer of 2018 has shown that in addition to these measures, it is necessary to start work on adaptation in the short and long term. 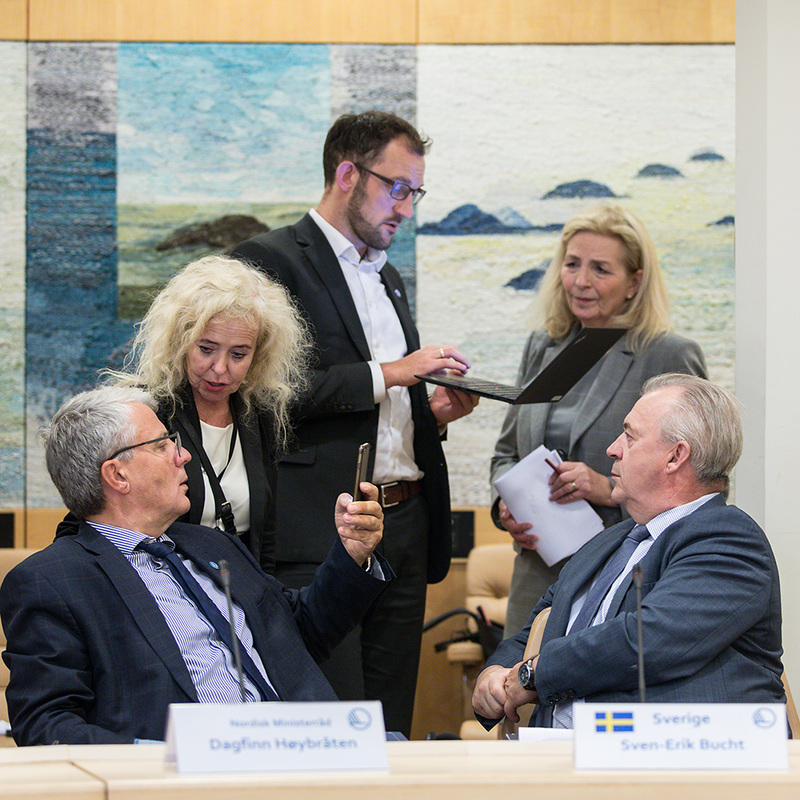 The Council of Ministers decided to set up a Nordic working group to meet the challenges of agriculture and forestry in a future with more extreme weather. Discussions will be followed up in the continued work of the Nordic Council of Ministers.